Designed for heavy-haul routes with wood ties, the VICTOR fastener line now is in mainline service across the United States, Pandrol officials say. 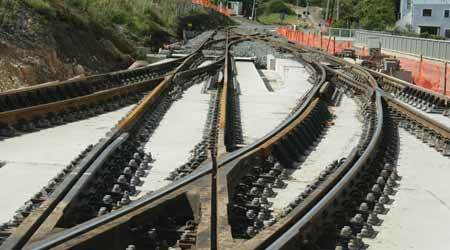 They keep crossties in place, batten down bridge decks and hold slab tracks together, among dozens of rail uses. They are fasteners and fastening systems. Railroads continue to seek fastening solutions that are stronger, yet economical, easy to install, last longer and offer multiple applications. So, fastener and fastening system suppliers are trying to develop and enhance products to meet those evolving demands. Following are nine such suppliers, who provided Progressive Railroading information via email to share their research-and-development and portfolio-expansion endeavors. Pandrol North America continually strives to provide fastening products in response to the needs of its freight railroad and transit customers in the United States, Canada and Mexico. It can take years’ worth of time and capital for Pandrol to first develop and then finally produce a product, even with the benefit of computer designs and simulations, and the use of such modern tools as 3-D printers, they said. 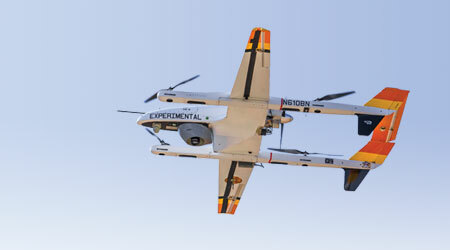 “Real-world conditions are difficult to predict even with the use of the most sophisticated computer systems,” Pandrol officials said. For example, the company developed the FASTCLIP FE1505, which serves as Pandrol’s next generation of rail fastening assemblies, in response to customers’ requests for an assembly that could match the life of rail on concrete ties in heavy-haul applications. The assembly features a FASTCLIP-version fastener and is designed with a recessed rail seat and two-piece integral pad assembly to extend the components’ life, while maintaining the benefit of a slide-on/off captive fastening system, Pandrol officials said. The assembly currently is undergoing in-track tests, and performance to date “has been exceptional,” they added. Meanwhile, the VICTOR product line targeted for use in heavy-haul service on wood ties — which had been under development for years — now is in mainline service across the United States, Pandrol officials said. The VICTOR design uses a standard AREMA rolled steel-tie plate equipped with a choice of shoulders and premium elastic fasteners based on a customer’s preference. The shoulders are swaged into the plates using a patented process. The VICTOR system is available in 18- and 16-inch versions set up for either screw- or cut-spike hole patterns. The VICTOR tie-plate concept “has been a huge addition” to the company’s North American product line, Pandrol officials said. A Caterpillar subsidiary, Progress Rail has strived to broaden its advanced fastening solutions to provide more innovative offerings. Examples include GageLok screw spikes for fastening rail and plates to timber ties, ballast mats and under tie pads, embedded block systems and Loadmaster direct-fixation fasteners. Manufactured in the United States via a low-stress process, Progress Rail’s E-clips offer improved fatigue limits and reduced maintenance costs. Progress Rail also aims to continue providing a broad range of traditional fastening products, such as rail anchors, E-clips, ME Series and Safelok concrete tie systems, MACRO Armor for rail-seat abrasion protection and repair, and systemwide bonded direct-fixation fasteners. GageLok screw spikes are available in many variants, including direct replacements for cut spikes (in 11/16-inch diameter) and high-strength screw spikes (in 15/16-inch diameter). The spikes — which have demonstrated longer life — can help railroads realize significant maintenance savings, Progress Rail officials said. The company also has provided freight railroads with ballast mats for more than 20 years. The mats are used to protect concrete bridge decks, reduce ballast degradation and ground-borne vibration, and lessen impact loads on bridges to extend structure life. Although ballast matting is not feasible, Progress Rail’s next-generation Under Tie Pad (UTP) is available to provide resilience under a tie, company officials said. Progress Rail has partnered with edilon)(sedra to market the UTP in the North American market. The pad is produced from elastomer material and is available in either attrition or attenuation performance categories, both of which have proved to extend track and bridge-deck life, Progress Rail officials said. 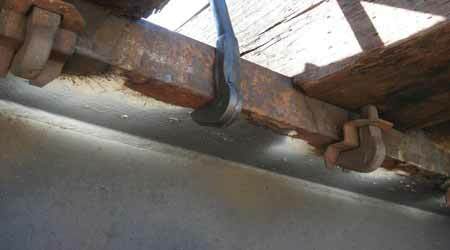 The company also offers the Loadmaster fastener to freight railroads for use on slab, steel-deck and timber-deck bridges to reduce a bridge’s track modulus and more closely match the track on approaches to prevent low bridge ends and reduce maintenance. The Loadmaster DF is designed to cushion the forces of all axle loads and prevent too much vertical and lateral rail head movement. In recent years, Progress Rail has developed the Loadmaster to secure 10- and 8-inch wood ties. The Vossloh North America Group continues to seek opportunities to leverage its portfolio of track products and services to provide customers more comprehensive solutions, especially with its rail fastening systems. When afforded chances to incorporate its fastening systems into a broader rail infrastructure package, the company can ensure seamless fit and function from a design and engineering perspective, and can provide enhanced services, such as pre-assembled delivery, Vossloh officials said. The V-RAM — a new fastener design by Vossloh North America Group — enables the supplier to offer fully intergrated turnout solutions. Recently, Vossloh provided rail fastening systems and Rocla concrete-tie products for transit projects at Dallas Area Rapid Transit (DART) and the Chicago Transit Authority (CTA). The company acquired Rocla Concrete Tie Inc. in January. For maintenance and new track construction work on DART’s Trinity Railway Express commuter-rail line, Vossloh will provide approximately 14,000 Rocla concrete ties equipped with the Vossloh W 30 fastening system. Installation began in May and will continue throughout the year. For the CTA’s Wilson Station reconstruction project, the company supplied fastening systems and Rocla concrete-tie blocks as part of an LVT (low vibration track) system provided by Construction Polymers Technologies Inc. Although the system (both the LVT and Vossloh fastenings) are used globally, this is the first application within the United States, Vossloh officials said. Vossloh also aims to leverage its portfolio to provide more seamless solutions involving rail fastening systems and special trackwork, which are a significant aspect of its rail infrastructure solutions throughout the world and in North America, they said. 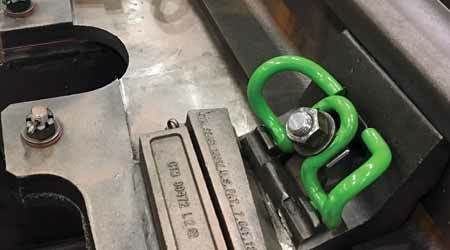 At Railway Interchange 2017 held in September in Indianapolis, Vossloh displayed a switch layout featuring a brace plate system designed for the Vossloh Skl tension clamp. The new design — called the V-RAM — incorporates an established universal brace system provided by Vossloh subsidiary Cleveland Track Material Inc. with the characteristic performance of the Vossloh Skl 30 in a design that enables the clamp to be positioned closer to the rail to maximize holding power. 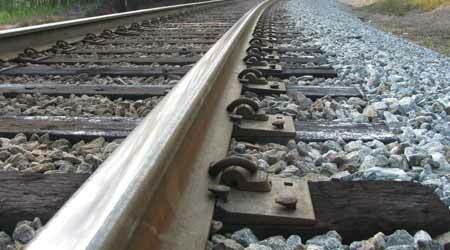 With V-RAM, Vossloh now can offer fully integrated turnout solutions to North American railroads, providing the trackwork, concrete ties, switch machine and rail fastening systems in one seamless package, company officials said. Construction Polymers Technologies Inc. (CPT) manufactures rail fasteners designed to be effective in three areas: noise and vibration attenuation, stray current mitigation and lateral load stability. The company’s primary facilities are located in Kentucky, Ohio, Texas and Wisconsin. With its partners Vossloh North America Group/Rocla and Getzner, CPT supplied complete LVT systems for MTA New York City Transit’s 7 Line and Second Avenue Subway extensions. The company was chosen as the supplier for those projects based on its extensive portfolio of successful LVT installations on some of the world’s most demanding rail systems, CPT officials said. Delkor EGGS and STW EGGS installed on TransLink’s Canada Line in Vancouver, British Columbia, as part of a SkyTrain project. The company also recently completed delivery of its LVT system for the CTA’s Wilson Station reconstruction project, which employs the Vossloh fastening system. CPT is the North American licensee for Sonneville AG’s LVT slab-track systems and Delkor Rail Pty Ltd.’s rubber-bonded, direct-fixation (DF) fasteners. The company also is an authorized agent for Conductix-Wampfler, which designs and manufactures electrified third-rail systems. The Delkor Rail fasteners offered by CPT include these varieties: standard (Delkor Alt. 1); high and very-high resilient (Delkor EGG); and special trackwork (Delkor EGGS for STW). The products are designed to endure very high lateral loads while placing minimal strain on the fastener anchorages, CPT officials said. Based in Sydney, Australia, Delkor Rail is owned by China’s Zhuzhou Times New Material Technology Co. Ltd. (TMT), which is a subsidiary of China Railway Rolling Stock Corp. (CRRC). TMT operates a 2.2 million-square-foot production and testing facility in China that enables CPT to offer expedited testing at a low cost and high production rates for on-time deliveries, CPT officials said. In addition, a TMT/CRRC plant in Hebron, Kentucky, soon will begin producing DF fasteners for CPT, helping the company remain Buy America-compliant, they said. Through what it characterizes as “product development know-how,” L.B. Foster Co. aims to meet customers’ needs by pioneering specific product solutions. “We are an industry leader in developing and commercializing fastener technology for North American transit agency applications. 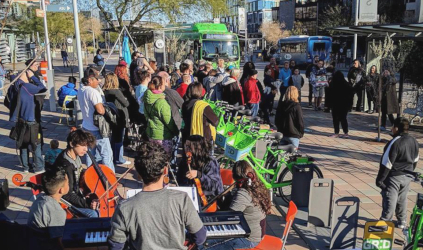 Working closely with transit agencies and engineering design firms to understand the critical needs for each agency, we build and execute our product roadmaps accordingly,” said Jason Bowlin, general manager of L.B. Foster Transit Products. For example, L.B. Foster recently was granted a patent for a direct-fixation fastener design that can “dramatically reduce” corrosion formed by stray currents and “significantly extend” the life of fasteners used in severe environmental conditions, such as tunnels, Bowlin said. In addition, since transit agencies continue to expand into areas where noise and vibration mitigation are key rail system requirements, L.B. Foster recently completed the design and testing of a high-resilient fastener. Bidding activity has been quite robust for the company throughout 2017, said Bowlin. As a result, L.B. Foster expects 2018 to be a strong year for the fastener market as transit expansion and rehabilitation projects that have been in design and development begin to reach the construction stage. “Because of the groundwork we have laid and our substantial product portfolio, L.B. Foster is well positioned to take advantage of these opportunities,” said Bowlin. In that vein, the company has incorporated standard, restraining and special trackwork direct-fixation fasteners and concrete ties into a project with “a key customer,” essentially supporting one-stop shopping for the effort that’s set to start in early 2018, he said. Since it introduced the Quick-Set® Hook Bolt System in 2015, Lewis Bolt & Nut Co. continues to note widespread adoption of the bridge deck fastener. Designed to prevent both vertical and horizontal deck movement, the system is installed from the deck surface to save time and offer a safer installation than standard hook bolt or similar systems, company officials said. To install traditional systems, a person either must lay on the deck surface or be positioned below the deck to feed the bolts up through the tie, they said. In addition, hole drilling through ties is eliminated because the Quick-Set is designed to be installed between the ties. DLewis Bolt & Nut Co.’s Quick-Set® Hook Bolt System is designed to be installed from a bridge deck to boost safety and save time for the installer. Lewis Bolt & Nut has strived to continue improving the system to provide additional versatility, such as by offering a longer bracket that attaches to ties on both sides via high-strength lag screws. Preferred when tie spacing is wider, the longer bracket ensures the lag screws are installed closer to the center of the respective tie, company officials said. Lewis Bolt & Nut also recently completed successful tests on a Quick-Set version that incorporates an integrated guard rail within the bracket to eliminate the need for a timber guard — saving additional time and money, they said. The Quick-Set system is a good example of continuously improving a new product to save installation time and reduce cost, while continuing to focus on safety, Lewis Bolt & Nut officials said. For more than 40 years, J.Lanfranco Fastener Systems Inc. has manufactured all-metal locknuts for safety critical bolted joints in the rail industry. The company’s JL dual-slotted locknuts do not have metallic or plastic inserts, and can be installed with standard bolts, tools and torque values, J.Lanfranco officials said. The locking action is completely independent of bolt tension and will not damage bolt threads, they added. 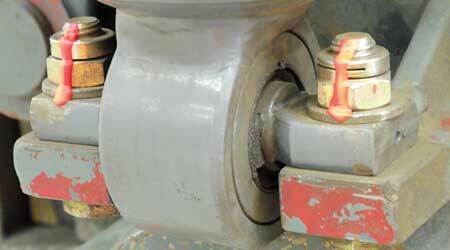 J.Lanfranco Fastener Systems Inc.’s ESL locknut installed on a rail-car truck. A recent addition to J.Lanfranco’s product line is the Heavy Hex Full Height THU line of nuts, which can be used on diamonds and frogs. The products complement the company’s line of standard nuts, J.Lanfranco officials said. The company also offers ERM nuts, which incorporate the same dual-locking slots as its other nuts, but also include a free-spinning, Belleville-type washer, J.Lanfranco officials said. 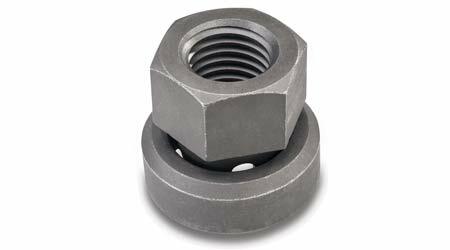 The nuts can accommodate quick and safe installations, and ensure good contact with the bearing surface even when installed on foundry pieces, they added. The company maintains locations throughout the world and plans to open another U.S. facility in North Carolina — perhaps in the greater Charlotte area — in early 2018. Ideally suited for large-scale infrastructure projects that require a long service life, Nord-Lock washers are a bolting solution that can offer sustained operation. The wedge-locking washers are designed to prevent any bolt from loosening, and can hold the bolt tight using tension instead of friction. 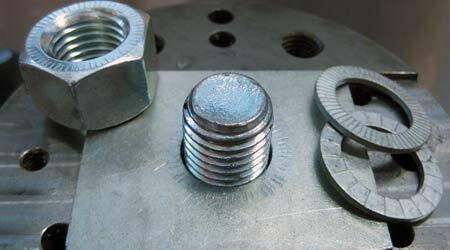 Nord-Lock Ltd. offers wedge-locking washers designed to prevent any bolt from loosening and to hold tight via tension. The lock washers’ durability has been proven in both laboratory tests and real-life conditions, Nord-Lock officials said. The products have become the required norm when it comes to constructing or refurbishing noise barriers, they added. The wedge-locking principle developed by Nord-Lock relies on a pair of washers — with cams on one side and radial teeth on the other — to enable the bolted joint to secure itself even if it’s subjected to high amounts of vibration and dynamic stress. Instead of friction, a preload force helps provide a higher level of reliability. 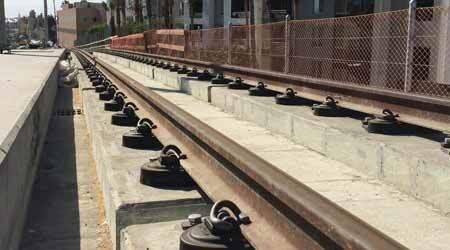 Nord-Lock has tested the wedge-locking principle in the railway and steel construction sectors. Many of the company’s products have become an integral part of rules, standards and regulations set by Deutche Bahn AG. In some cases, their use is mandatory, Nord-Lock officials said. The wedge-locking washers can minimize risk and lower maintenance costs wherever structures are exposed to dynamic stress that can be attributed to train-induced loads, they said. And for more than 20 years, Nord-Lock has been partnering with numerous vehicle manufacturers who have been successfully applying this technology in such safety-relevant areas as trucks, linkages or brake systems. The Nord-Lock principle “has proven to be indispensable” in railway superstructures, including track switches, and the secure fastening of balises, sensors and signs, company officials said. The use of wedge-locking washers to lock bolts is becoming increasingly widespread in superstructure and signal-mast designs, they said. The ReLok™ fastener system — distributed exclusively by Miller Ingenuity — is a self-locking nut with a tapered annulus extending from its base. It works in conjunction with a corresponding compression collar, or a tapered blind hole, to form a vibration-proof fastener system. Distributed by Miller Ingenuity, the ReLok™ fastener system is a self-locking nut that helps form a vibration-proof fastening solution. The ReLok “features the most revolutionary technological improvement to the global fastener industry in the past 85 years,” Miller Ingenuity officials said. When the ReLok is assembled with a standard threaded bolt, compression between the tapered annular extension and the corresponding contoured cavity creates an enhanced spring that acts as a lateral force within the assembled joint. Such an assembly will capture, retain and deliver greater energy back to the joint to ultimately deflect shock and vibration. “Never has a lateral force been integrated into a threaded fastener system to deflect this type of movement,” Miller Ingenuity officials said. Designed with a smoother interior, ReLok annulus slides over bolt threads and does not lock out to thread interference. The same torque that is required to install the ReLok nut/collar is used to dismantle the joint. It’s reusable for multiple installations with similar vibration test results and there are no limits to bolt preload. ReLok also can consistently hold clamp load at various torque settings, Miller Ingenuity officials said. ReLok is designed to resolve assembly problems for the following applications: anchor bolts, rail and track bolts, pump and valve assemblies, shock absorption, tire and wheels, engine mounts, pipe flanges and suspension systems.